Building a house can seem like a big task but it doesn’t just end there. 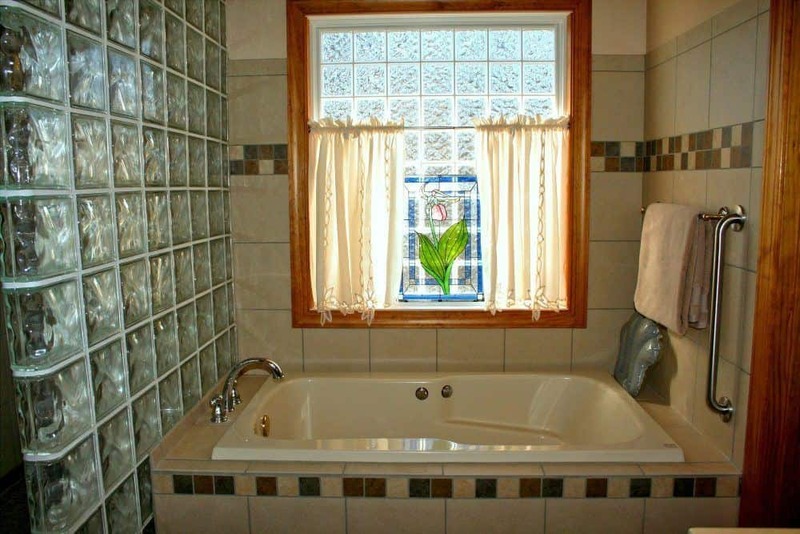 There is upkeep involved that will keep you engaged during all the years that you live in the house. While there are always professionals whose help you can enlist to get some of the major work done, you can save quite a bit of money by doing some of the easier tasks on your own. One such task is sealing the narrow line that comes between tiles as they are laid on any surface. This line – usually cement – is referred to as the grout. There are many areas of the house that may have tiles laid down. 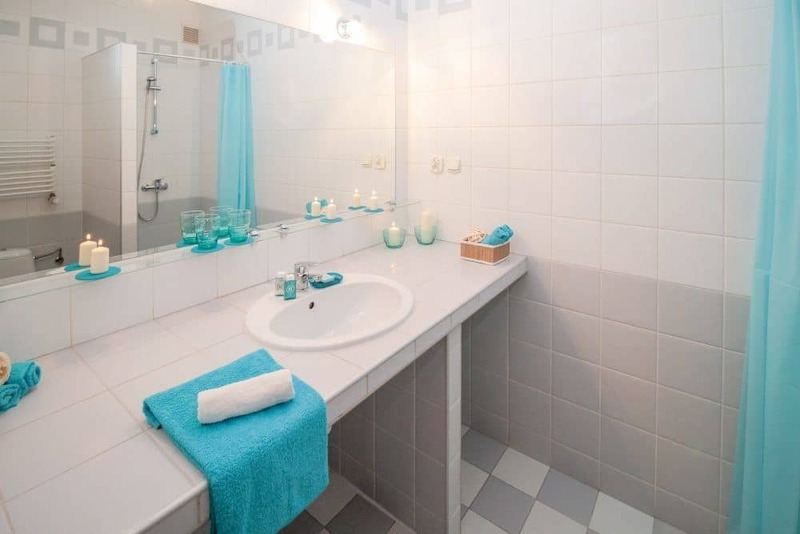 It can be for the aesthetic appeal as tiles make the house look quite lovely, or it could be utilitarian, as they can help increase the amount of money you receive when you try to sell the house. Overall, they are an essential part of a well-kept house and to ensure that they are kept in place, the grout needs to be sealed. Before we get to the best options available in the market when it comes to grout sealers, let’s try to understand what this specialized product is and things you should keep in mind before picking one. The first name on the list of best grout sealers available in the market is the Black Diamond Nex-Gen Natural Stone Penetrating Sealer. While it isn’t specifically designed to be a grout sealer, it has a more multi-purpose use. While most other sealers come in bigger, unwieldy bottles, this product is available in a comfortable 16-ounce spray bottle. Not only does this make it easier to be used on smaller projects, but it is also easy to store or handle. This Black Diamond sealer is water-based and can be used on a number of surfaces, for example, grout, concrete, granite and a variety of other stones. It isn’t toxic or corrosive, which makes it safer for use in a number of situations. If you are on a budget, this can turn out to be the ideal grout sealer for you. This protective sealer is designed in a manner that makes it very easy to use and more durable. It is safe to contact with food, which is especially important if you are planning to use it on kitchen countertops of similar surfaces. For interior sealing, this sealer works very well but its performance isn’t the best if you are looking for an option to use on exteriors. Available in multiple sizes – the pint, quart, and gallon version – the StoneTech grout sealer is one of the most effective sealers on this list. This specialized grout sealer is built on a water-based formula. This seeps deep into the grout to provide better protection to the tiles. This level of protection keeps all the water damage and any other possible stains away from the grout. All of this is done without leaving residue or visible signs on the tiles. The StoneTech grout sealer is the ideal option for people who have a large number of tiles in their house. This heavy duty sealer will get the job done without burning a hole in your pocket. It is very easy to apply and can work well on a wide range of surfaces. The StoneTech grout sealer will not leave any unsightly stains or residue on tiles that you use the product on. Some grout sealers leave a distinctive discoloration on the tiles and grout, but this isn’t something you need to worry about that with the StoneTech Heavy Duty Grout Sealer. As the company lays great emphasis on its water-based coating, you will need to put in multiple layers for it to work well. The third option on this list is Tuff Duck’s Granite, Grout and Marble Sealer. Available in the 22-ounces and gallon version, you can choose one depending on the requirements. If the work that needs to be done isn’t too vast, you can opt for the smaller spray bottle. If the area covered is around 1,000 square feet, you will need the larger gallon-sized one. This can be used for multiple surfaces like grout, granite or marble. The formula is put together in a manner that it isn’t toxic and safe if it needs to be used on natural surfaces without compromising on their natural look. They are very effective in reaching the insides of the grout and keeping moisture out. The Tuff Duck variant is easy to apply and will protect your surfaces for very long – up to 3 or 5 years in different cases. You will not be exposed to any strong fumes that can rise up from some other grout sealers. The best part about this grout sealer is that it isn’t just used for grout. It can give you a number of different applications in the same product. You may be able to notice some residue on the surface that you use the sealer on. Along similar lines, some of the darker surfaces may end up getting discolored in certain situations. The best grout sealer is one that blends into the décor of the room that you are using it in without standing out in any manner. It isn’t going to be the main attraction for the viewer. A great option in this regard is Safecoat’s grout sealer, which prevents any penetration of water that could leave odd marks, ensuring that you have no problems in terms of looks. This sealer is also non-toxic, which is important if you are going to use it around food or around spaces where children may be playing. 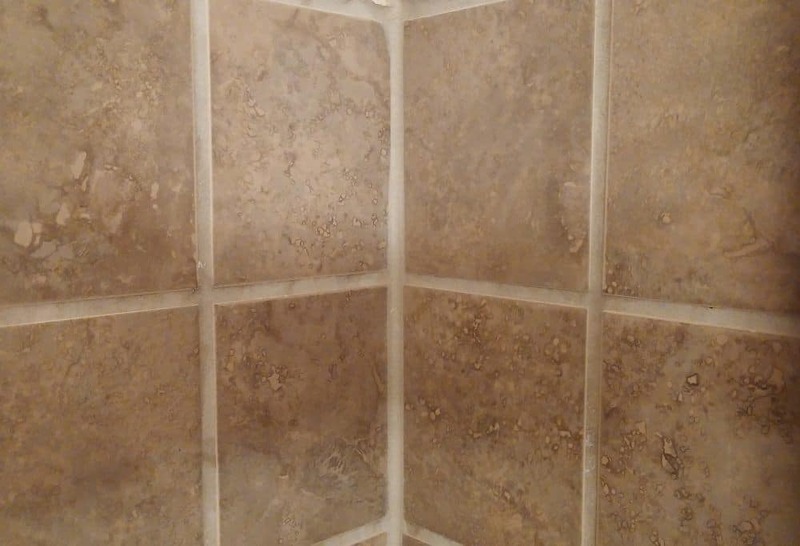 A lot of grout sealers end up getting discolored over time, but this isn’t a problem that you will face with this one. While many sealers leave an odd color on the surface they’ve been used on, you will not have to deal with unsightly discoloration if you are using the AFM Safecoat grout sealer. This grout sealer is safe to use, so you will not have to worry about any harmful fumes being emitted when you are using this product. This makes it safe for even asthma patients. It is designed to resist water in an effective manner. This means once you have applied it, you won’t have to worry about water seeping through the sealer. This product can be a little expensive, especially when you need to cover large areas. If you are looking for a sealer that will delve deep into the grout and not just stop on the surface, this Miracle Sealants variant may be perfect for you. Instead of a simple water-based formula, this product is developed with a solvent-based formula that can reach deeper into the grout, giving you protection that lasts longer than most options in the market. No more stains to worry about! This product is suitable for use both inside the house and for exterior surfaces. In addition to this, it works very well on a wide variety of surfaces. The Miracle Sealants sealer will not cause any discoloration on the surfaces that it has been used on and has an incredibly smooth finish. The unique part of this grout sealer is that it lets some of the underlying vapor to escape despite being covered by it. The product emits some fumes that can be tough for your senses to handle, so you will need proper gear while using it. The product is a little more expensive than others on this list. 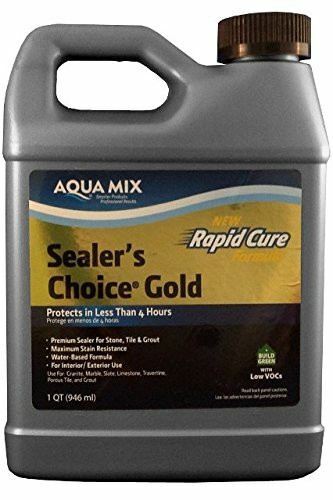 If you are looking for a sealer that will not just give you good quality protection, but also the natural look that most homeowners prefer, the Sealer's Choice Gold sealer by Aqua Mix is one of the best grout sealers in the market. It has a water-based formula, which makes it ideal for a number of surfaces, for example, grout, ceramic tiles, granite, limestone and so on. This can also be used before you apply the grout for next level protection. If you are looking for a durable option that works fast when it comes to curing and lasts quite long, this sealer could be ideal for you. This grout sealer is a high-quality one that works very well for jobs around the kitchen because of its food safe composition. The Aqua Mix sealer allows for more moisture or other vapors to escape through it. The sealer has a very impressive capability of repelling stains effectively. A lot of people may not be inclined towards this product as it can work out to be a little expensive. There is a certain hazy appearance once it is applied. The next grout sealer on this list is the variant by The Floor Guys. 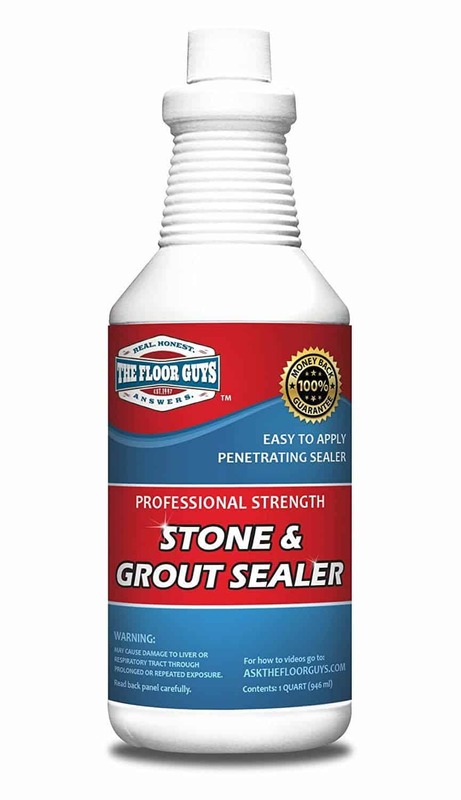 This penetrating sealer seeps into the grout with great ease, making sure that you have the best possible protection that grout sealers can provide. As it goes deep into the grout and binds the sand particles, you will not see an unnatural sheen that can look odd in the case of some other penetrating sealers. The formula is water-based and lasts for a long time. This means you won’t have to repeat the exercise often, which can be a downside with many cheap grout sealers. 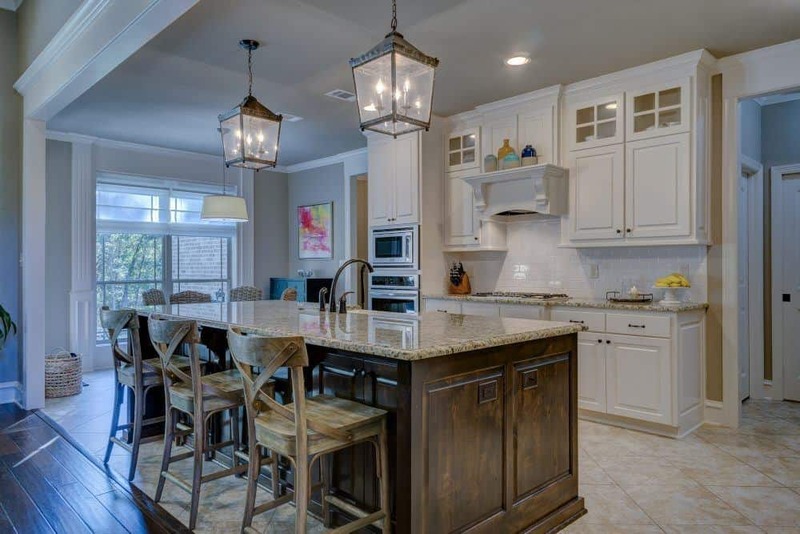 The Floor Guys is able to penetrate deeper into the surface you’re using it on – whether it is stone or grout – that gives it a very natural look. You will not be able to notice anything different on the exterior. It can be applied very easily with a simple paintbrush and dries up very quickly. There is almost no odor at all, which makes it safe for use even for people who are sensitive to such smells. There are instances of the surface where the grout sealer is applied getting slightly discolored. This can be a deal breaker for many people. You may have to pay an additional amount for shipping. 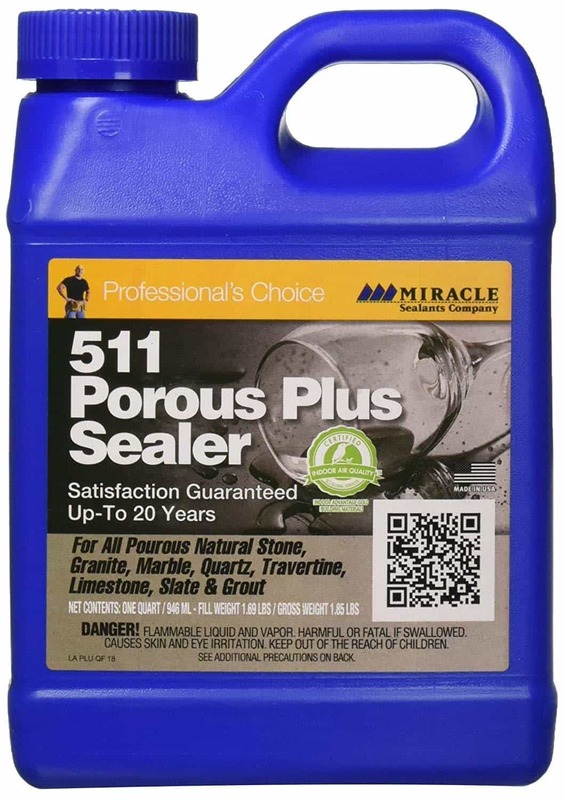 The great part about Miracle Sealants’ Porous Plus Sealer is that it is resistant to both oil and water. This means that if this product is used on kitchen countertops, you will be saved from those unsightly spills and seepages that can lead to a discolored surface. This product is easy to apply and the company’s name itself stands for good quality products. As it can be used on multiple surfaces, you will not be limited to just one use of the product. You can use it in many different parts of the house to get the best value for your money. The product is very durable and can be used on a number of different surfaces, for example, flagstone, sanded grout, sandstone, terra cotta, and limestone. The Miracle Sealants variant can cover up to 1,000 square feet with one quartz of the product. The product is very easy to apply. It will work quickly and not turn yellow in the long run, which can otherwise prove to be an eyesore. This is the most expensive option on the list so it may not be suitable for people on a budget. There can be some fumes that are emitted when you are trying to apply the product. If you aren’t well versed with the many processes involved in keeping your home in the best situation possible, you may not be familiar with grout sealers. As you have learned earlier, grout is the cement-like product that fills the spaces between the tiles that are installed, giving it a seam-like appearance. This substance also includes sand. Due to the porosity of this sand, the grout also becomes porous. This makes it easy for water or other liquids to seep into these regions, compromising the integrity of the tiles. Therefore, it is important that you are able to ensure that this part of the surface is sealed well. To deal with such situations, you can purchase any one of the many grout sea​​lers that are readily available in the market. These can be applied to the grout between tiles or any other such place that requires sealing. This will help in keeping out all the moisture or consequent staining that could be the result of water or any such other liquid seeping into the grout. Not only does this staining and moisture look particularly bad to look at, but it can also lead to bacterial growth and other such problems in the long run. 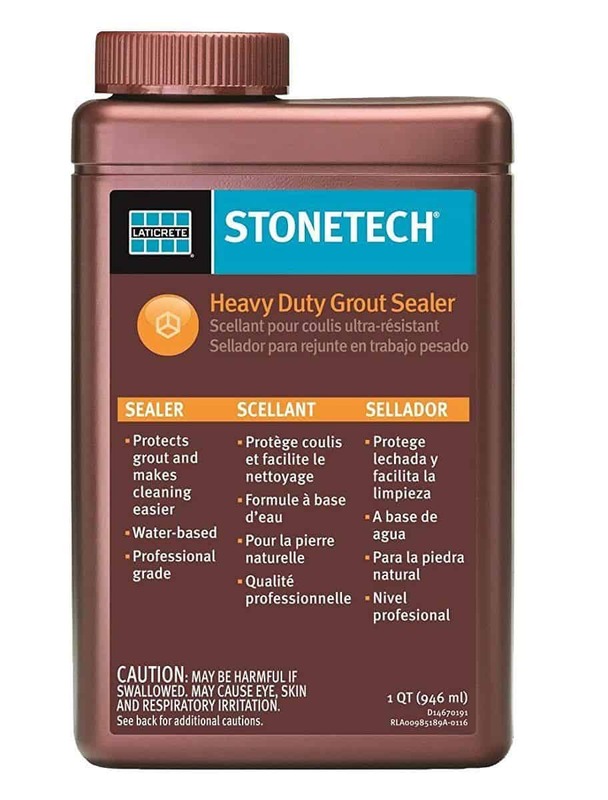 There are many grout sealers that can be bought in stores or through online platforms. They can be broadly divided into three different categories – coatings, penetrating sealers and color sealers. Each of these will be discussed in further detail so that you can pick the type that works best for your needs. The first type of grout sealers that are commonly used are coatings, which lay on top of the grout without actually seeping into the cement-like product. Therefore, they act like a barrier between all the extraneous products and the grout, keeping it safe. There are two types of coats – strippable and permanent coatings. 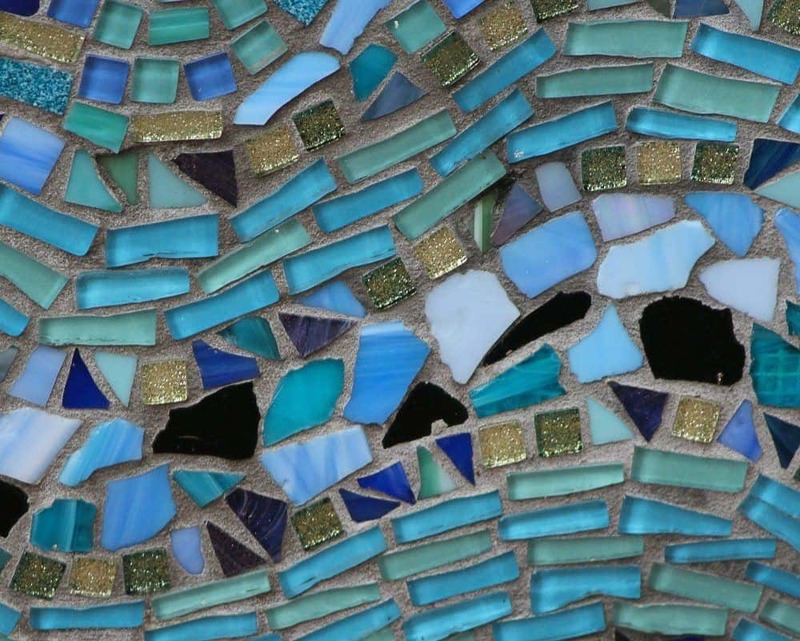 The first type can be removed from the grout with relative ease and made of polymers. The second type – permanent coatings – cannot be removed easily and aren’t really the best option for grout. The second type to be discussed are penetrating sealers, or as they are often called, impregnators. They penetrate into the grout, going under the surface so that they can get solid particles to cover the pores and avoid any liquids or other matter from getting into the grout. These penetrating sealers can be water-repelling or oil-repelling. While all water-repellent sealers do not perform the function of oil repellent ones, all oil repellent sealers are also resistant to water. The last type of sealers on the list is the color sealer. This is designed specially so that it doesn’t just seal the grout effectively, but also changes the color of the grout. The main reason why some people use this type of sealer is to change the color of the grout if it has gotten so dirty that it looks unsightly. If you are looking to buy some grout sealer but don’t know what are the important aspects, you should keep some important factors in mind. These can range from the type of surface that you will be using the sealer on, the type of fumes they release, whether the product is toxic or not, and many others. To make this easier, here are some questions that you should ask yourself before picking the best grout sealer. What Function Will You Be Using the Grout Sealer For? The most important thing to consider when you are buying a grout sealer is the purpose it is going to fulfill. Different grout sealers have different uses, other than the regular grout sealing that you are looking to accomplish. The first obvious factor is the effectiveness of the product, which will be discussed in greater detail later. After that, it is always better if the sealer can be used on other surfaces and not just the grout, for example, cement, stone, marble or any other such material that is used for both interior and exterior surfaces. 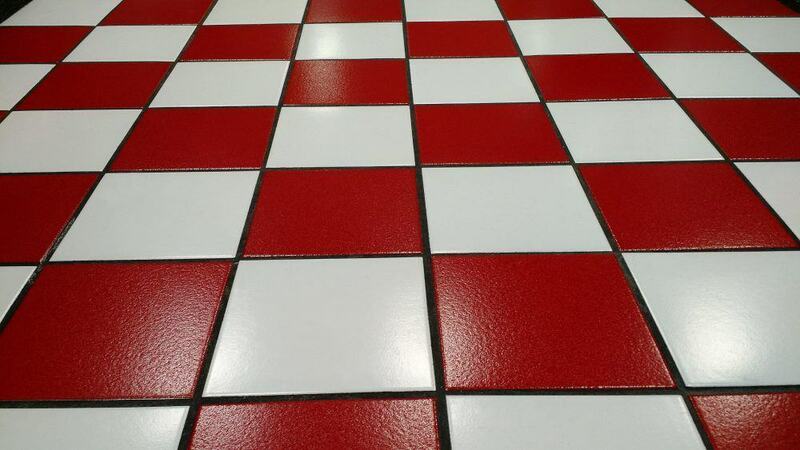 If your sealer serves multiple purposes, its use will not be limited to just the tiles. It should also be suitable for both inside the house and outside. This will help in you getting more out of the sealer that you are using. Is It Effective Enough to Meet Your Needs? 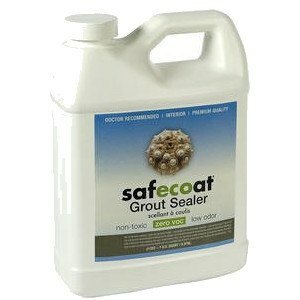 There are many grout sealers that are available in the market. However, not all of these will be your best bet when you are finding the right grout sealer for the work that needs to be done at home. The list of the best grout sealers given at a later stage will help you to pick out one that is effective, yet in your budget. Effectiveness is the most important factor that you need to consider when you’re buying a grout sealer. Some brands have a better reputation in the market than some others and it can be helpful if you opt for products from these companies. In addition to the product’s own effectiveness, the overall durability of the grout sealer also depends on the manner in which you have applied it. If it is applied well, it will be more effective in keeping moisture or other liquids out. How Long Does the Grout Sealer Work For? The last factor to consider before you buy a grout sealer is the amount of time it should be able to last on the surface where you have applied it. The grout sealer will be able to stay in place for different amounts of time, depending on the different factors it is opposed to. For example, if the grout sealer is used outside, where it is exposed to wind, rain and other sources of moisture, it will last for a much shorter time than it will in a closed setting. Inside, there will not be as many natural factors but the grout sealer will be in close contact with food, heat and other factors. The life of grout sealers will depend on all these factors and cheaper grout sealers may only work for a shorter period of time. Finally, it is important to understand that to get the most out of your grout sealer, you will have to apply the grout sealer with precision and care. There are instructions present on the container of the grout sealer, which will have to be followed with great accuracy so that it lasts longer and is able to stay effective. After going through some of the best grout sealers available in the market, you may already be able to gauge which one works better for you. For example, if you are looking for a grout sealer that isn’t too expensive but can be used on a variety of surfaces, you can opt for the Black Diamond Nex-Gen Natural Stone Penetrating Sealer. 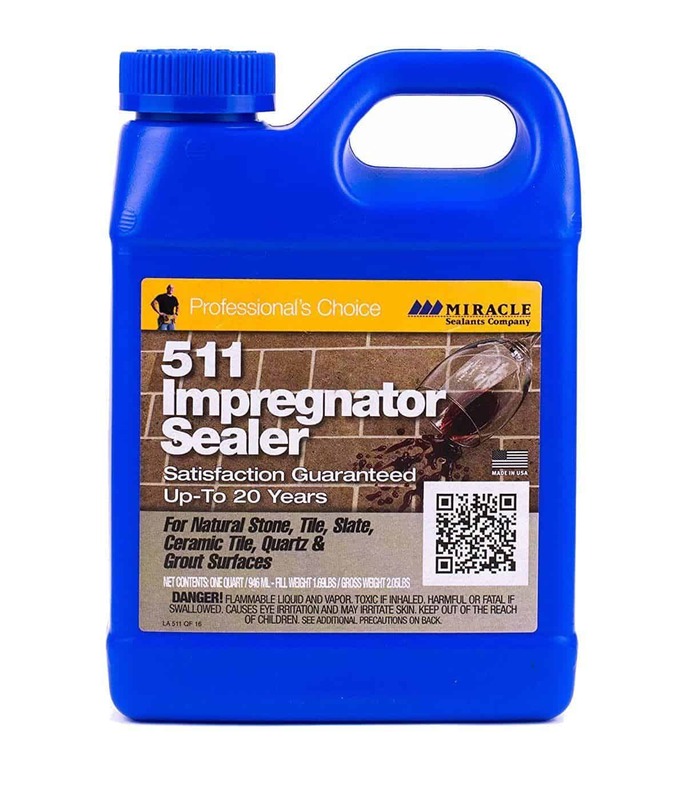 The Miracle Sealants Impregnator Penetrating Sealer is another high-quality product that will be of help in a number of projects that you choose to undertake around the house. Make sure that you look at all the features of each of these products before you decide to buy it so that it fits right in with your requirements.